CASE Central is based in Hollingdean, one of the most deprived areas in Brighton and Hove. The Council estate in Hollingdean houses families on low incomes; single parents who are often on Zero Hour contracts or unable to work due to caring responsibilities; people who suffer with mental and/or physical disabilities; people who have gone through traumatic past experiences such as homelessness, substance misuse, or even wars. These are the kinds of people who need CASE Central and our services. Living in a suburban area such as Hollingdean can be in itself an isolating and depressing experience. Even simply having a place to sit down, a chat, a cuppa, or even just a smile helps to make us feel human. This is more than ‘a service’ – our social space has been vital for many local people who have visited us or have volunteered with us. We do more than this. At CASE Central similar people meet and exchange tips, become friends, start helping each other, and develop self-help networks. CASE Central has offered a ‘community’ of individuals, who had in common only the fact of living in the same geographic place, the opportunity to become a real Community! 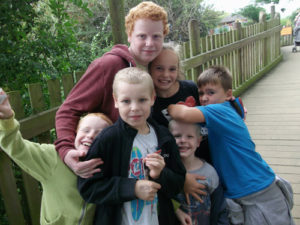 Our seasonal events for parents and children from Hollingdean and the whole Brighton and Hove also give a great opportunity to families who suffer from social exclusion to meet, network and overcome their isolation. These events are only possible thanks to the generosity of our donors. We thank in particular Sussex Community Foundation for the help given to CASE at its difficult beginning and for their continuing support. For our future and recent events, and for reports and and photos, please click here. Last but not least, CASE Central is a base for a minivan service for local families and community groups. Please phone and speak to us to be put in touch with the minivan manager. See what our visitors and clients, as well as various representatives of our community say about us, by clicking here. We have collected testimonials abour our positive contribution to Hollingdean, and to the City of Brighton and Hove. Our work in the community is vital, and people know. 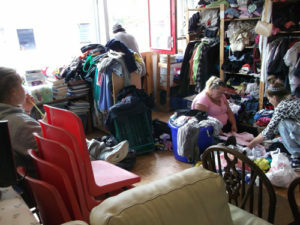 Our work in helping families on low incomes has been supported by the T.U.U.T. Charitable Trust, an organisation set up by the Trade Union Movement in 1969. We are especially proud of this recognition as it confirms that our activities are seen as a positive contribution towards a better, more just, society. We are also very proud of the relations of reciprocal respect and support which we have created with the nearby Hollingdean Community Centre, and their excellent Community Development Workers Ceza, and, previously, Liz. We are also grateful to the Community Centre’s Newsletter, Hollingdean News, for mentioning our activity in the local community (to see this please click here). 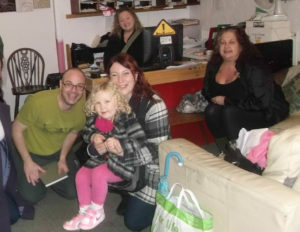 And we have recently consolidated a long term relation with the Brighton Refugee Radio, which will allow us to better support migrants workers and refugees in town. To know more and to see the picture of our meeting of 10 April 2017 with Resilience Project Worker Gemma Challenger, click here. Another fruitful collaboration was created between CASE Central and Brighton Unemployed Centre Family Project in Tilbury Place, another benefits advice centre in town. For photos of a ceremony held at BUCFP on 25 November 2016 click here. The local community has no borders – CASE Central welcomes migrants and refugees, and has contributed to the promotion of solidarity and integration among people like us, whatever our national origins, accents, religions, etc. At CASE Central we have, and have had, volunteers and visitors from all over the world: China, Zimbabwe, Poland, Italy, France, Iran… This openness has enriched us, promoting exchange of culture, experiences and, why not, recipes! We are therefore worried about the increased racism and xenophobia that followed the Brexit referendum of June 2016. We are also worried about the future of the EU citizens in the UK and of the UK citizens abroad, as we have many clients and supporters currently living in uncertainty. As Welfare Rights advisers, we have noticed with concern a recent surge of deportations of EU citizens: indeed, CASE Central has already supported two European clients who had been subject to deportation orders and we are pleased to add that both orders have been lifted. ‘The Community’ is not just local people and users. CASE Central is in friendly contact with people in the wider Brighton and Hove who organise against social injustice, racism and poverty, and against the abolition of our existing rights. This is generous activityin the community, which we cannot do ourselves, but which we value a lot. We do value, indeed our rights, freedom and dignity. 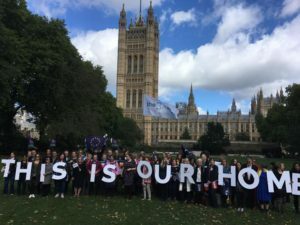 For these reasons we have established links with local non-party-political campaign groups, such as: Brighton Benefits Campaign (BBC), The Love Activists Brighton, Brighton Solidarity Federation, Brighton and Hove Housing Coalition, and many more. Most of our basic rights, including rights at work, consumer rights and the right to a healthy environment, are currently protected by the European Union. CASE Central has used EU laws and judgements of the European Court of Justice (ECJ) to help our clients; for example laws related to work. We were recently pleased by an ECJ’s judgement in November 2017 that says that even workers who are paid on commission are entitled to paid holidays (‘EU top Court rules workers can claim compensation for untaken holidays’, The Guardian, 29 November 2017). As Welfare Rights advisers we are also worried about the financial consequences of Brexit and a potential loss in welfare services. Our constitution includes the aim of educating people regarding the European Union, so we currently research and inform our volunteers and users about the losses that would be caused by leaving the EU. 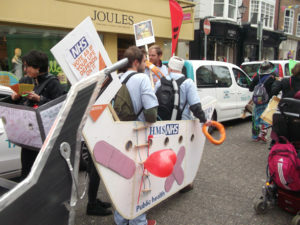 We also keep in touch with non-party-political groups, such as The 3 Millions Brighton and Brighton and Hove for Europe. 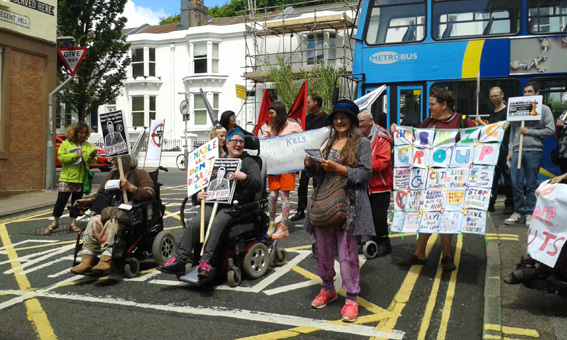 The National Day of Action against Universal Credit, organised by the Disabled People Against Cuts (Brighton, 18 April 2018). 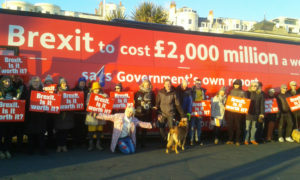 The Truth Bus in Brighton, hosted by Brighton and Hove for EU (Brighton, 27 February 2018). The Silent March for Grenfell: Context of a Disaster video and talk (John Drury’s Research Group on Crowds and Identities, University of Sussex, 21 February 2018). One Day Without Us’ (Brighton, 17 February 2018), to which CASE Central contributed with an info leaflet on EU citizens’ rights. The Brighton and Hove Housing Coalition Launch Conference (19 August 2017). 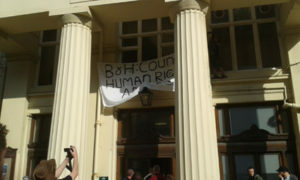 The Brighton and Hove City’s demonstration against the Public Space Protection Order (6 April 2017). The lobbies of the Parliament of the 3 Millions (EU Citizens in the UK, 20 February and 13 September 2017). The Unite Community Days of Action against Benefit Sanctions (on 9 March 2016 and 19 March 2015). The Refugees Welcome Here demonstration in Brighton (12 September 2015).